The 28th Arnold Classic was held in Columbus, Ohio on March 3-6, 2016. The inaugural IFBB Arnold Pro Men's Wheelchair contest was part of this year’s event held at the Greater Columbus Convention Center and the Battelle Grand Ballroom. The Presenting Sponsor was Europa Sports Products. 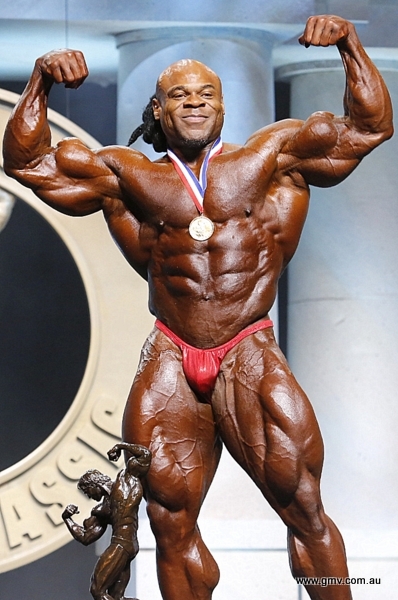 Congratulations to KAI GREENE of USA for his 3rd victory at this event. CEDRIC McMILLAN placed second, and rising star from Australia JOSH LENARTOWICZ placed third. Greene, who also won the Arnold Classic in 2009 and 2010, joins five-time winner Dexter Jackson, four-time champ Flex Wheeler and three-time winner Jay Cutler as the only men with more than two Arnold Classic trophies. In the Arnold Classic 212 it was a first time victory for HIDETADA YAMAGISHI of Japan over USA’s own star Jose Raymond. In the Arnold Classic Pro Men's Physique, BRANDON HENDRICKSON of USA took out the title. The inaugural Arnold Classic Pro Wheelchair title went to HAROLD KELLEY of USA. This DVD is also available on REGULAR DVD. Congratulations to KAI GREENE of USA for his 3rd victory at this event. CEDRIC McMILLAN placed second, and rising star from Australia JOSH LENARTOWICZ placed third. In the Arnold Classic 212 it was a first time victory for HIDETADA YAMAGISHI of Japan over USA’s own star Jose Raymond. The DVD presents the COMPLETE PREJUDGING for all 4 classes, with all of the compulsory poses, callouts and comparisons. The FINALS include the posing routines, comparisons, posedowns and awards. The DVD presents the COMPLETE PREJUDGING for all 4 classes, with all of the compulsory poses, callouts and comparisons. See the Arnold Schwarzenegger Lifetime Achievement Award, presented to IFBB President Rafael Santonja. This was a multiple camera shoot using the latest HD cameras. Our thanks to Jason Breeze for these wonderful cover photos. The DVD commences with the complete Pro Men's Physique, Pro Men's Wheelchair, then the Arnold 212 Prejudging and Finals followed by the complete Pro Men’s Prejudging and Finals. Also the awards to the Arnold Strongman Classic competitors. Arnold Schwarzenegger Lifetime Achievement Award, presented to Rafael Santonja by Arnold. The Arnold Classic Amateur is similar to a World Championships of Men’s Amateur Bodybuilding, featuring the top amateur guys from the NPC and from the IFBB world-wide. DVD CONTENT: See all of the lineups, key comparisons and callouts plus posing by the top 5 competitors in each bodybuilding class, and all awards and OVERALL POSEDOWNS. The Overall MEN'S BODYBUILDING winner was Sergey Kulaev of Russia. The 2016 IFBB Arnold Classic & Arnold Sports Festival are Presented by Classic Productions.